Manufacturers have put to market PoE+ Ethernet switches to accommodate the increasing power draw of certain 802.11ac access points and IoT devices. Here we’ll take a look at the latest power over Ethernet technology, and the network equipment that companies have started to use when automating workplace operations over an IP network. If you plan on incorporating IP devices into your building management, you want to acknowledge and embrace the importance of PoE+ switches. As the name might suggest, PoE+ is an upgrade to the PoE—a technology that allows Ethernet cables to carry electrical power to the devices they connect. PoE adds tremendous convenience when planning network architecture. Until recently, PoE switches generally powered only low-wattage VoIP phones and access points. Today, companies are connecting surveillance camera systems, devices for video conferencing, and complex access systems to the office network. These devices require more power to operate. In order to meet those power levels, the PoE+ standardized equipment delivers almost twice the power at 30 watts compared to the 15.4-watt maximum of the older PoE standard. What are the benefits of using PoE+ networking equipment? As mentioned, the most obvious benefit is increased power draw that PoE+ accommodates. Companies incorporating Internet of Things (IoT) smart technology focus on streamlining operations throughout the physical environment. They are connecting more devices to the IP network, and these devices draw more power than previous generation equipment. The convenience factor of PoE+ remains a value driver in the same way that PoE revolutionized LAN architecture. Need to install a security camera in a secluded corner of the office? No problem—a PoE+ switch provides more than enough power and location flexibility to place these devices anywhere and anytime. In the event of a power outage or system failure PoE devices remain online if you have an Uninterruptible Power Supply providing backup power. In the face of more dire situations where someone could be maliciously and purposely cutting power, the PoE+ backed security camera can capture everything. Another reliable function is control: a single, dependable power source is better than multiple, vulnerable sources. The connected IP devices draw power from a single power source, which means you can have full control and manage power usage through smart technology easily. PoE installation costs less because of less cabling and there’s no need to pay a contractor or a technician for extra electrical outlets. Also, since PoE and PoE+ switches provide plenty of durability and reliability, you won’t need to call in for repairs or power outages. Purchasing PoE+ switches or compatible security cameras can be an initial price hike, but the benefits far outweigh those costs. Why should you switch to PoE+? Think about what you want your network to do in the next three to five years. 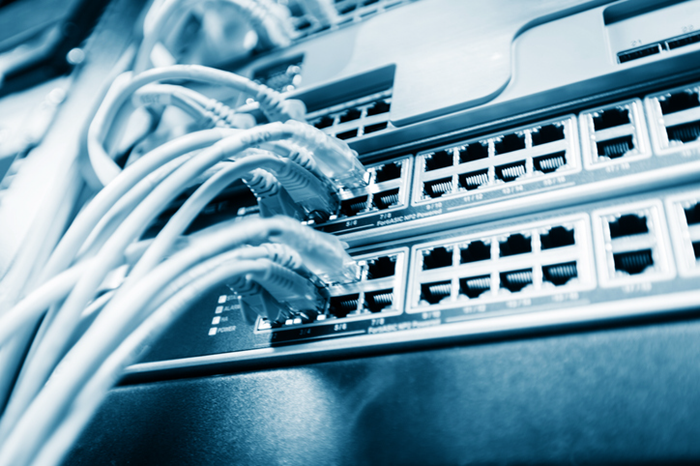 Using PoE+ architecture is one way to future-proof your office network. If you plan on incorporating any type IP-based automation, you want the increased power budget, flexibility, and convenience and PoE+ equipment provides. Current and future generations of devices, such as HVAC monitoring devices, conferencing systems, and security cameras all require more power—something that PoE+ switches can easily provide. If you’re in the process of creating an infrastructure at a new location, it’s your best bet to invest in PoE+ Ethernet switches—it’ll go a long way in making your life easier. A big tech and gaming/esports enthusiast from California and Korea.